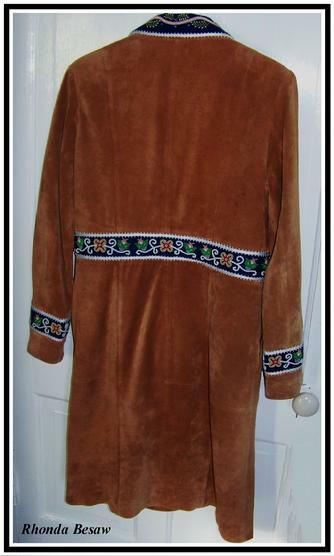 Through the centuries there was a cross cultural exchange of clothing between whites and Indians. 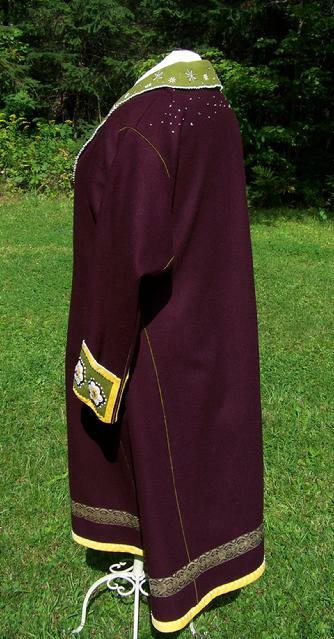 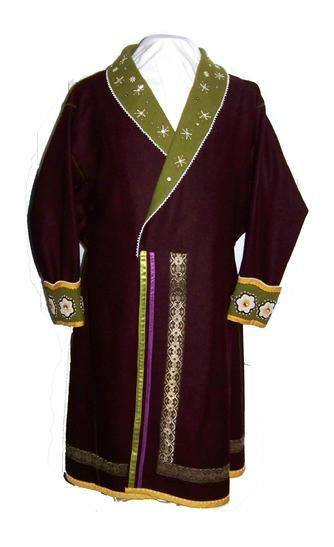 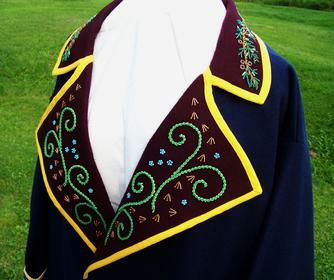 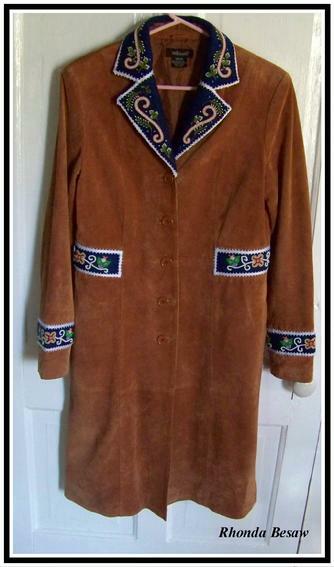 From European linen trade shirts decorated with wampum and silver, to gentlemen’s coats and military coats decorated extensively with fine beadwork and ribbonwork, referred to as “Chief’s” coats, Native peoples have taken these articles of clothing and made them uniquely their own. 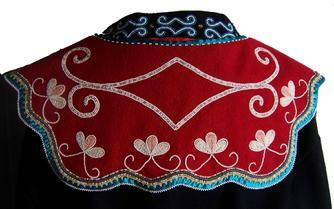 Silk ribbonwork and beadwork not only decorated the clothing, but symbolically represented identity and tribal affiliation. 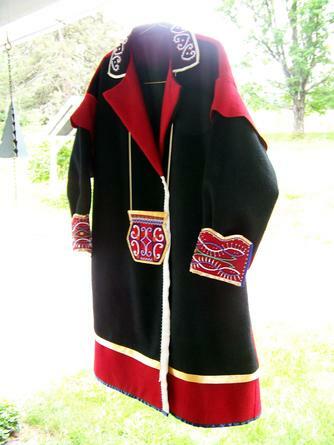 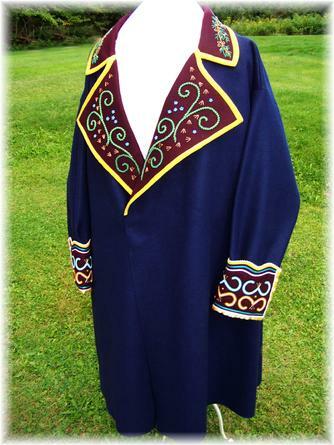 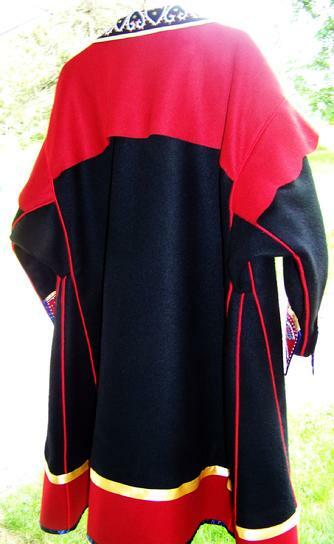 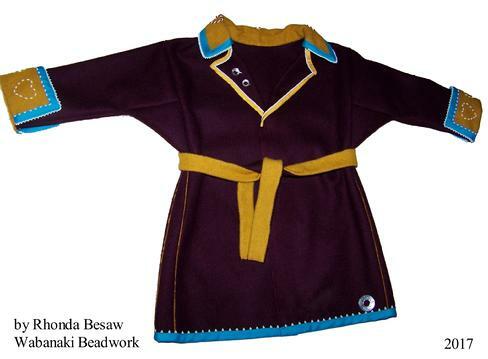 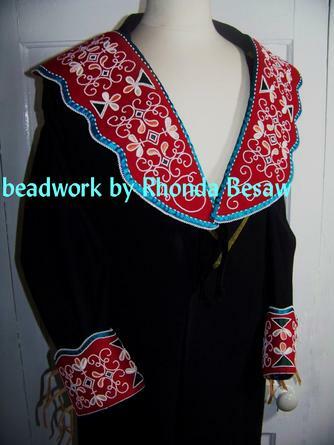 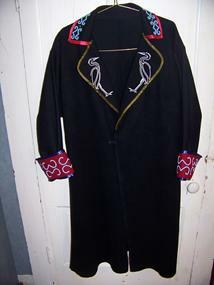 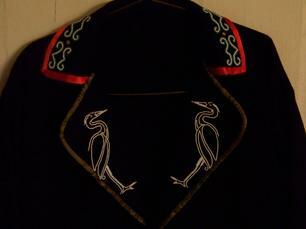 “Chief’s” coats included heavily beaded lapels, borders, and detachable collars and cuffs, all with ribbonwork. 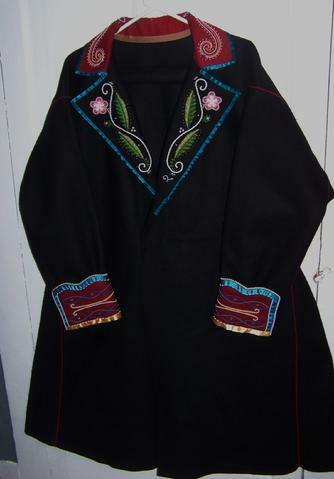 these are not reproductions of old coats, but much like the purses I create, they incorporates the feel and spirit of old designs into something new and relevant to this generation and generations yet to come. 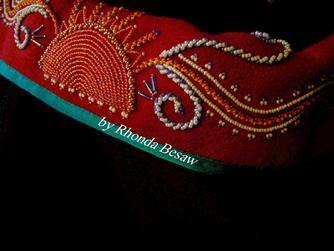 "Funded by Native Arts New England, a program of the New England Foundation for the Arts, made possible with funding from the Ford Foundation, the Native Arts and Cultures Foundation, and Anonymous donors"